A tie-up with 20th Century Fox will see an Angry Birds Rio app appear on mobile handsets, with the hugely popular mobile game "like the original, with a few new twists". 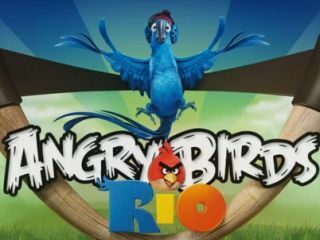 In a cunning piece of marketing by Fox, animated movie Rio – about a (fairly even-tempered) bird – will be supported by an Angry Birds Rio edition featuring 45 levels at launch and the promise of more to come. "Rovio and 20th Century Fox present: Angry Birds Rio - coming to app stores everywhere in March!" tweeted Rovio, confirming the news. "It's a great partnership, has been really good to work with the Fox guys. And it's a great game too that we, Rovio, publish," they add in another tweet. The original Angry Birds is one of the stand-out hits in App history – quickly establishing itself as a massive seller. Maker Rovio has seen the game top charts on multiple platforms – including the trial and paid-for iOS versions which launched (probably via catapult) the first incarnation. Rovio and Fox have produced a trailer for the game, featuring the now familiar Angry Birds and their journey to Rio - we'll await the plush toy, cake and replica catapult story updates with veritable glee.